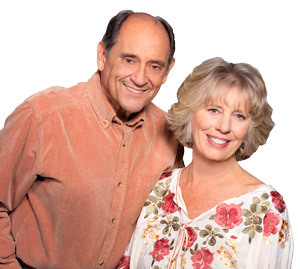 Jan and Don invest their hearts and time to provide the best service for their clients. We’d new nothing about either of them before our first meeting, as they were referred to us by another realtor, and yet we felt like family after only a short period of time working with them. When Jan realized we were very serious about a particular property, she asked Don to stop by and look it over, given his many years of experience. He gave us the pros and cons for us to consider, which resulted in us not choosing that home. Both Don and Jan were very supportive through the emotional process of finding and agreeing on a home my husband and I both would like, and encouraged us not to move too quickly and buy the wrong home for us. After going through the lengthy process of looking and looking and looking for just the right property, we finally found a good match for us and are so happy with our purchase. We feel very fortunate to have found such trustworthy, knowledgeable, and caring realtors who we now consider friends. "We have lived in Tahoe since 2004. When the time came for us to look for a new home, we were referred to the Bosson’s from a wonderful friend here in... continued"